In April 2017, the German Federal President Frank-Walter Steinmeier took on the patronage of the programme “Europa macht Schule” (“Europe meets School”). In doing so, he supports the idea of European exchange through direct encounters of young people, and honours the commitment of all active volunteers at all locations and within the association Europa macht Schule e.V.. This recognition provides added motivation to advance the development of the programme in the spirit of fostering the European idea. 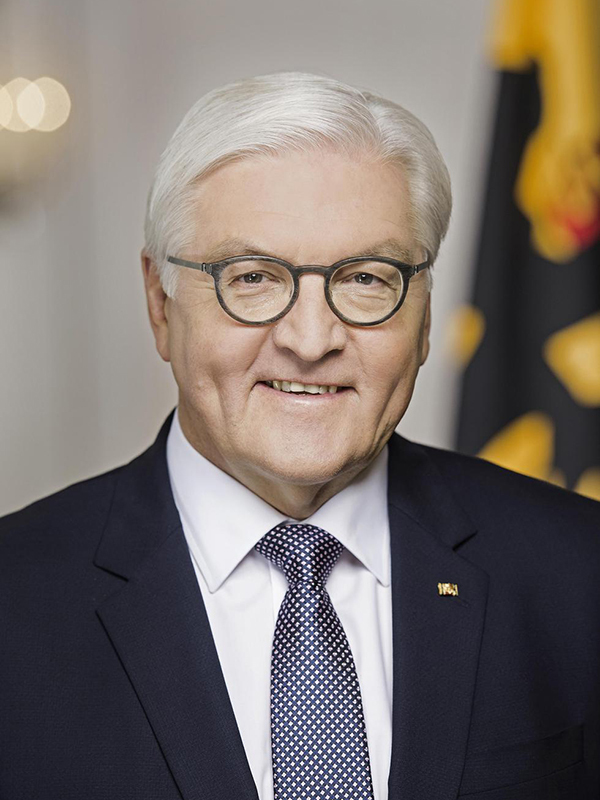 Like his three predecessors before him, Federal President Frank-Walter Steinmeier assumed the patronage of the programme “Europa macht Schule” (“Europe meets School”) in 2017. “Europa macht Schule” is an initiative that emerged from the Dresden conference “Was hält Europa zusammen?” (“What keeps Europe together?”) in February 2006. A meeting of the heads of state of Germany, Austria, Italy, Hungary, Portugal, Finland, and Latvia took place in Dresden. The German Federal President at the time, Horst Köhler, initiated a conference parallel to this meeting, to which over 100 students and graduates from different European nations were invited. The central question of the conference was how to strengthen the identification of citizens with Europe and its institutions. One answer was to take advantage of the potential inherent in direct encounter. This is how the idea for the programme “Europa macht Schule” was born. The conference was followed by detailed preparation of a concept and the foundation of the sponsoring organisation Europa macht Schule e.V. .Partners were successfully brought on board, funds were raised, and the programme was launched. Initial successes – more than 30 projects in the first year – have shown: The idea works! It brings people together through European exchange. In the years that followed, the number of participants in the programme grew rapidly, proving that the idea, the programme, and the association are sustainable. The achievements of the association and of the volunteers at the various locations convinced former Federal President Horst Köhler. He took on the patronage of the programme “Europa macht Schule” (“Europe meets School”) in 2008. In July 2010, his successor, former Federal President Christian Wulff assumed the office. In June of 2012, Federal President Joachim Gauck became the next patron of “Europa macht Schule”.